Green for St. Patrick's with The Limited. I went shopping earlier today because I really wanted this dress from The Limited, after seeing it on the Lovely Alice and I noticed a huge trend at the store: bright vivid shades of green or like we usually call it Kelly Green. I like to call it Spring Green because it reminds me of the grass starting to get green, flowers blooming and trees starting to get green leaves again. Next door to The Limited over at Talbots, more pretty and bright shades of green, some lighter greens like lime, kiwi and citrusy shades. Needless to say it was all beautiful and not only are these greens perfect for the start of Spring but also awesome with the upcoming St. Patrick's day next week. 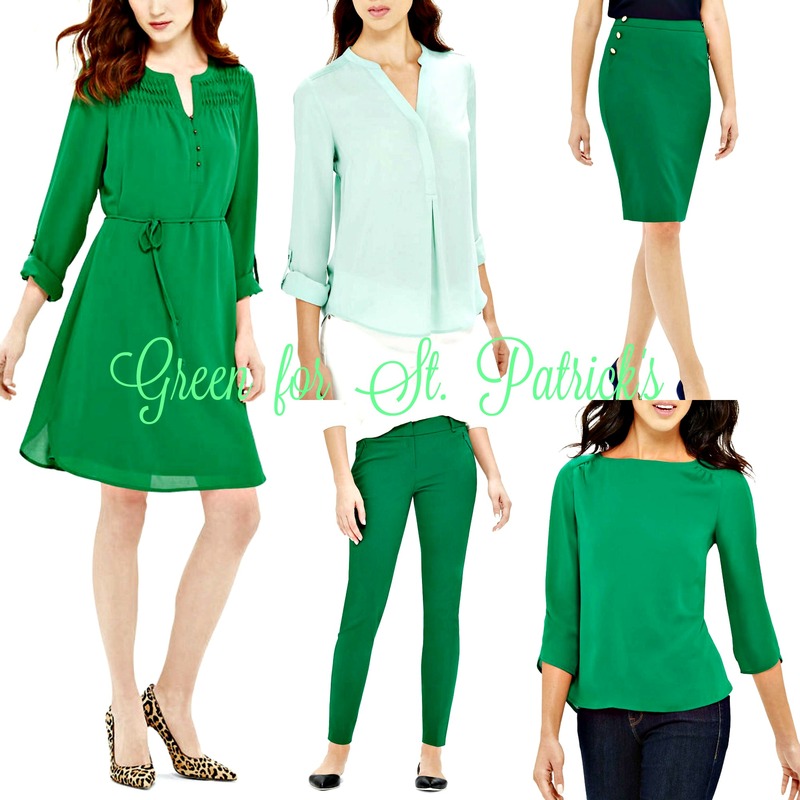 So in honor of St. Patrick's day coming up I decided to show you a week worth of Work Outfits featuring these 5 work-ready, elegant and chic green pieces. Check out the outfits below and tell me which one is your favorite? P.S. Also linking up with Ann, Amanda, Angie, Betsy + Katey, Biana, Carly, Carrie, Carrie with Whitney, Caryl, Claire, Debonita, Erin, Good Random Fun, Grace, Lauren, Leelo, Molly,Patti, Rachel, Rachelle, Sandy with Kileen, Whitney and Zaz.